More than 40 years after its creation, Alan Ayckbourn's incisive, witty play about tangled relationships continues to delight audiences today. Round and Round the Garden, which is playing for three nights at Lichfield Garrick Theatre as part of a UK tour, shows no sign of becoming dated despite being penned in the early 70s. In fact, it is only the impressive soundtrack, particularly evident during the interval, that convinces you when the story is set. Round And Round The Garden is, in fact, part of a trilogy in the same way that Tolkien's Lord of the Rings was brought to the cinema screen. 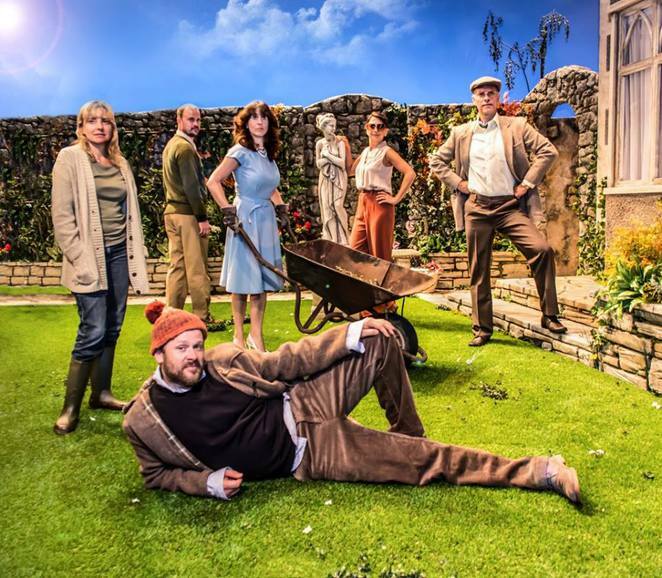 It forms one of Ayckbourn's three Norman Conquests plays that involved the same six characters over the course of a summer weekend at a Sussex country house. As such, you are left wanting to see how the rest of the overall story unfolds. 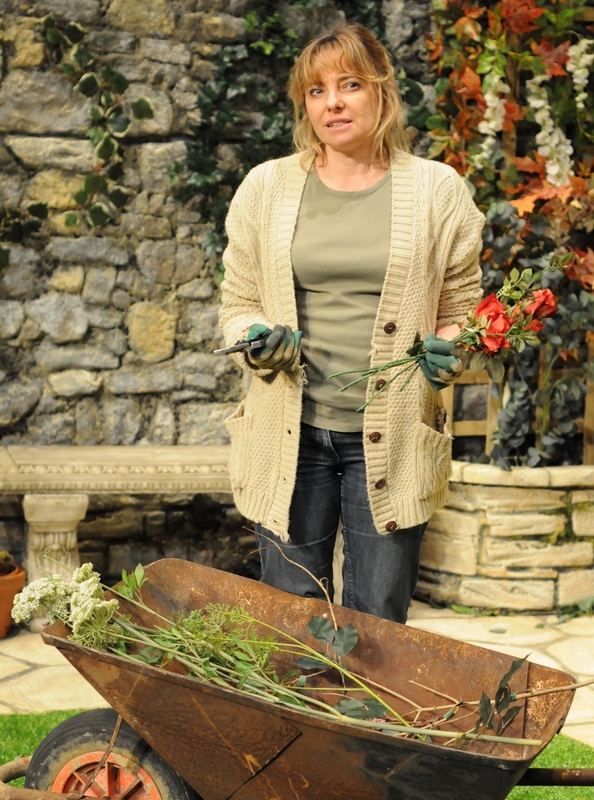 But the slice that you are able to witness in Round And Round The Garden certainly provides a highly amusing segment with the help of an impressive cast and superb set. 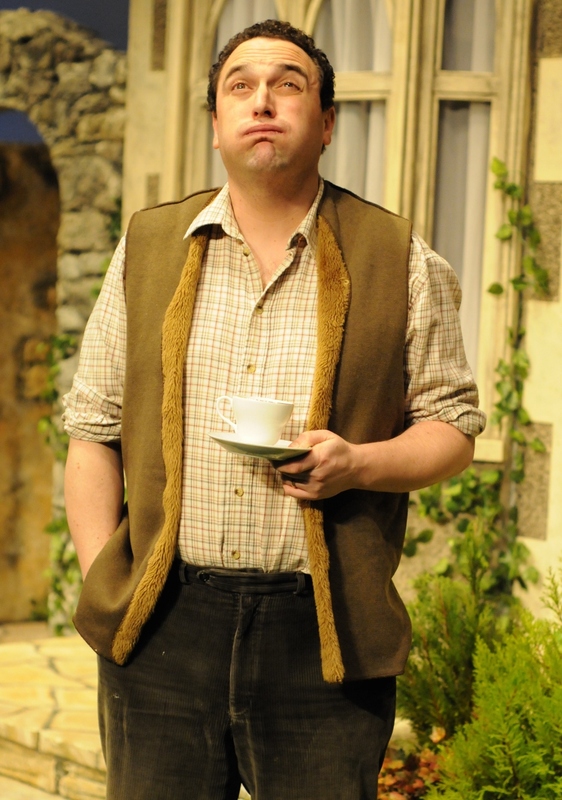 The central character is undoubtedly assistant librarian Norman, who seemingly keeps his brain in his trousers as he chases after his sister-in-law Annie, and also charms his brother-in-law's wife Sarah, while also trying to keep his own wife, Ruth, happy. Norman, superbly played by Philip Stewart, is finally about to drag the unattached Annie away for a dirty weekend when things inevitably start to go wrong with comic consequences. Jo Castleton is also wonderfully cast as the seemingly frustrated Annie, who has to weigh up her obvious desires for Norman with betrayal of her sister. Thrown into the mix is vet Tom, well played by Ben Roddy, who has his own designs on Annie but is clearly better at communicating with pets than people, with the inevitable misunderstandings later in the play. And Louise Faulkner makes up for her late entry into the story as Norman's apparently long-suffering wife Ruth. 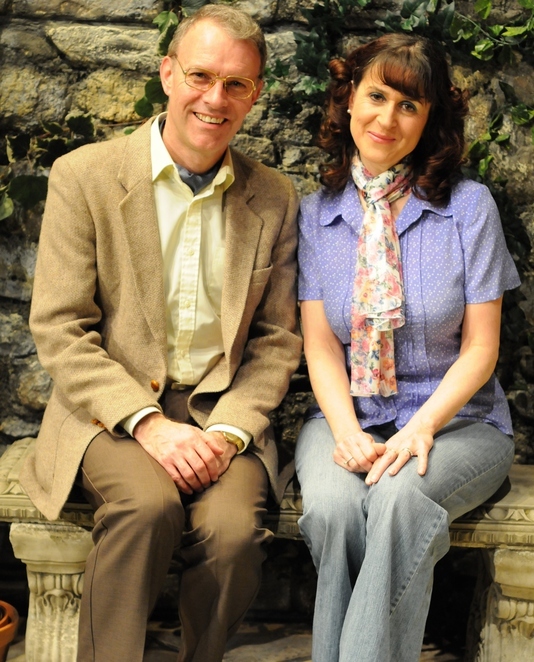 And then there is Norman's brother-in-law Reg and his wife Sarah, played by Kevin Pallister and Natasha Gray from ITV soap Emmerdale, who add to the overall confusion. This new production, which is the joint creation of Talking Scarlet and Jordan Productions, in association with Eastbourne Theatres, concludes at the Lichfield Garrick on February 10. For ticket information call 01543 412121.